The author of The 80/20 Manager reveals the powerful principle of simplifying as a strategy for any company to create new markets and soaring profits. For the past 40 years Richard Koch has wanted to uncover the simple, elemental, elegant and parsimonious principles that are needed to create great new businesses. To qualify, a principle must be so overwhelmingly powerful that anyone can reliably use it towards extraordinary results. Is there any principle that can tell you how to do that consistently and with a high chance of success? 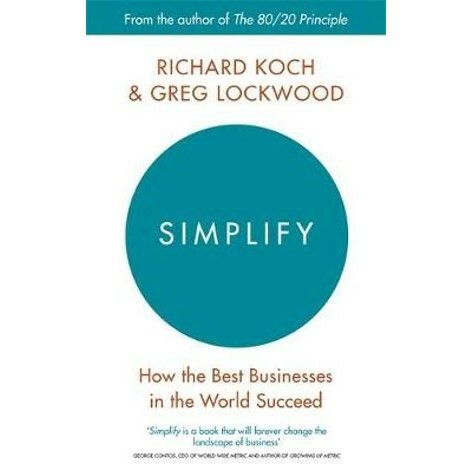 Working with venture capitalist Greg Lockwood, his co-author on Superconnect, and supported by research from the elite firm of OC&C Strategy Consultants, Koch has the answer. The principle Koch and Lockwood have discovered behind extraordinarily successful businesses is simplifying. Some simplify on price - take Ryanair's budget flights which still take you from A to B, but so cheaply that nearly everyone can afford them, multiplying the size of their market - and some simplify on proposition, such as Apple's decision to cut down on the number of their product lines and focus on perfecting only a few devices. Richard Koch is a millionaire entrepreneur who has started or turned round a number of successful companies, including Belgo Restaurants, Filofax, Zoffany Hotels and Betfair. He is also the author of 13 highly acclaimed non-fiction books.